If you’ve been following along, you may remember my struggle with going to ALT summit and my mini-freak out about life. I wrote goals and dreams, some of which I wasn’t (and still am not) sure how to even achieve. Sometimes though, hard work pays off. Shortly after that post, I was contacted by a editor who had an awesome idea for a cookbook: grinding flours at home. At first I wasn’t sure this project was for me. A book all on flours? Seemed a bit overwhelming! But after I thought about it, I fell more and more in love with the idea (plus, I was about to finish my job and the timing was perfect). I’m a huge proponent of bulk-bins (and all things grains, beans, and nuts) and here was my chance to show a second use for all of those things. I saw this book as a natural extension of this site and one more way I can show that eating unprocessed foods is pretty awesome. So, I wrote a proposal, got it accepted, and have been working like mad ever since! I’ve been keeping it a bit of a secret but I received the cover for the book today and couldn’t keep it any longer! The book will include 30+ different kinds of flours you can grind at home along with recipe ideas on how to use each one! I’m hoping it will open up a new avenue to all those grains/beans/nuts/seeds you hopefully already have stashed in your cupboards. Be on the look-out for the book next summer, published by Fair Winds Press. I couldn’t be happier with the progress so far and I think this will be a great resource for the unprocessed kitchen! Thank you so much for your support and hopefully you are as excited as I am! WooHoo! Big congratulations Erin! Can’t wait for this to come out, I know it will be beautiful. Thank you Eleanor! I think it might be but I’ll check and make sure! Grinding flours is something I’ve really been wanting to explore. So glad to hear you’re writing a book on it. The cover is beautiful! Congrats!! Thank you, Alissa! It’s a lot of fun! What a great idea for a cookbook- so unique. Your photography style will suit it beautifully too. This looks SO pretty! Congrats! A huge congratulations!! I am so excited for you, and SO looking forward to getting my hands on a copy. As a fellow bulk-bin-aficionado, this is right up my alley! Whoo! Go Bulk bin! Thanks, Nora! Super congrats! Definitely will be on the lookout for it! Congratulations! It looks so nice! Oh, that is so exciting – Congratulations! I’ll be first in line for a copy. Right up my alley. 🙂 The cover is STUNNING. Yay! Cover art is lovely! Thank you, Sara! I’ve been flipping through yours for inspiration for what a cookbook should be! It’s beautiful!! Congratulations! I can’t wait for it to come out. What an incredibly creative and awesome idea for a cookbook! I the cover is beautiful and I could not be more excited for you….and me! I a can not wait!! Erin, I am thrilled for you! The cookbook is perfect and very smart…I simply can’t wait to cook from it! What a brilliant idea! This is so exciting! And something completely different — which is awesome. That’s what people are looking for, something different. Congratulations! Thank you, Tiffany! I think that’s what finally pushed me to try it- I wanted to do something different! Holy yahoo! 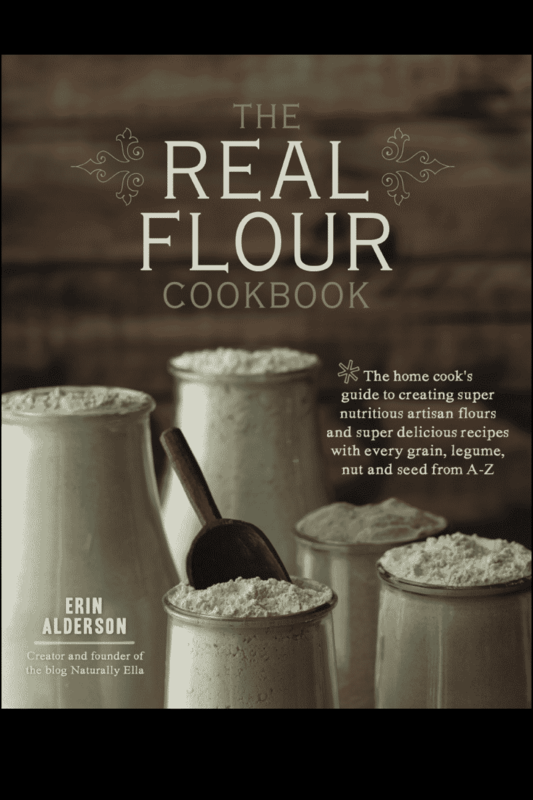 LOVE The concept for the book … recently wrote about grinding flour on my site (waffle recipe) and am just in love. So much cheaper! So much more control! Whole grains! But the concept is killer and I’m so thrilled to hear the news, Erin. Thank you, Megan! I read your post and I may have have said a little “yay” out loud about you grinding flours! I definitely need to learn to buy more in bulk. Congratulations! It’s the book you don’t know you need until you see it, then you must have it! The cover is beautiful! I hope everyone feels that way 🙂 Thanks, Laurie! I am so beyond excited for you, Erin!! Congratulations!! I can’t wait to hold the book in my hand and learn from you. Will you be doing the photography, too? A huge congratulations! Well done. What a lovely idea for a book. Congratulations! Such wonderful, exciting news!!! I cannot wait to order a copy! What a great topic! 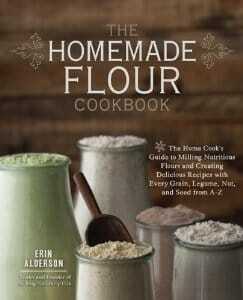 Cannot wait to learn how to make my own flour. Thank you, Courtney! I think you would love making flour at home! So…I’m positively giddy about this news. Congratulations!! VERY cool, Erin, and I am looking forward to purchasing it! Thank you for sharing with us. Completely gorgeous! That cover is a work of art! Thank you, Hilary- I think you’ll be able to but I need to check! Congratulations again Erin! I can’t tell you how excited I am for this book! Congratulations! WOW — I subscribe via email so I read all your lovely posts in my email inbox – but I had to just come by and say congrats! well done! Congrats! What a great concept I will definitely be interested in learning more about it as a bulk bin addict! omg Congrats!!! Ooh, love the concept, can’t wait!! Congratulations!!! I can’t wait to see it. I love the idea and think it will be a huge hit! Fresh and inventive! I think this is a great direction for the local and earth-conscious baker. Can’t wait! Beautiful! I can’t wait to read it! I have my grinder and grains ready….need some new and fresh ideas. So excited for you AND your book! Congrats! Lovely book! I just want to ask what the jars and scoop you used called and where I can purchase some? If I could find them online that would be wonderful. Thanks so much!!! Hi Amy, sorry for the delay in responding. The jars are weck jars which can be found online and the scoop I picked up at an antique store!